Grid-like forms inspired by temporary structures that are used in the field of construction. Presented by Esrawe Studio, the limited edition Trama collection made its debut at this year’s Zona Maco in Mexico City. 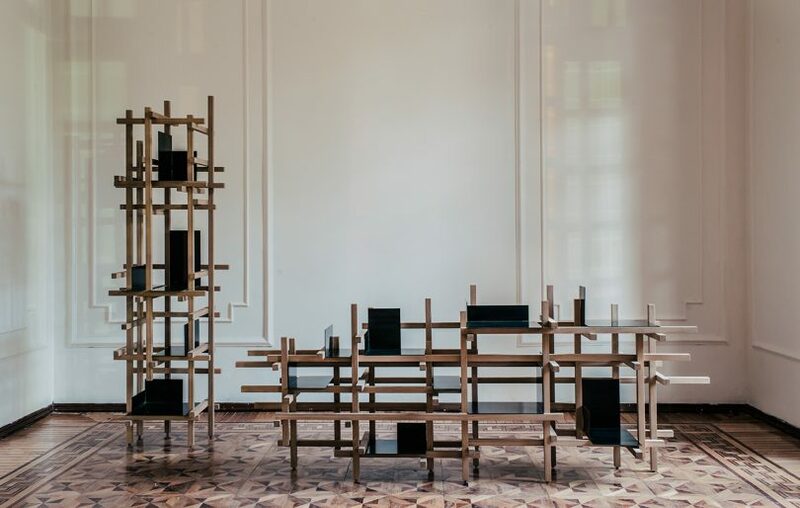 The pieces of Trama were inspired by temporary structures that are used in the field of construction and crafted from both natural and stained holm oak wood and aged or natural brass. Each wood structure features a grid-like latticework punctuated with wooden bolts and a series of randomly-placed brass ledges. The Trama collection is made up of three formats, two vertical and one horizontal and is limited to 20 available pieces per size.